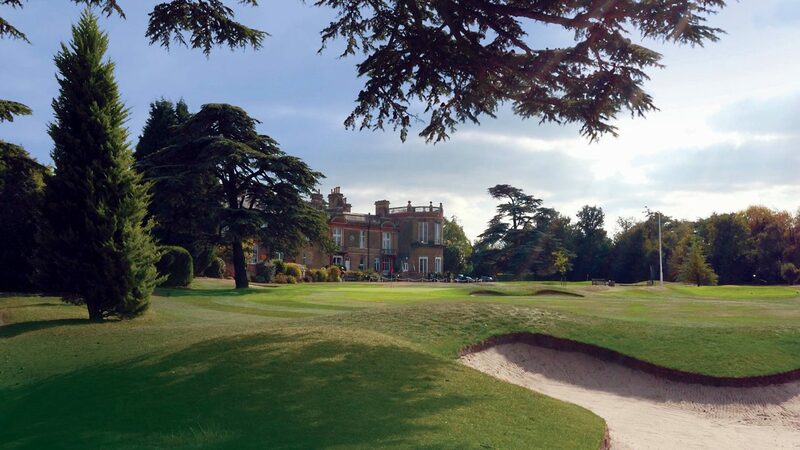 Founded in 1894 and situated within 70 acres of magnificent parkland in the heart of Chislehurst, just 11 miles south-east of Central London, Chislehurst Golf Club is steeped in history. The jewel in the crown is the spectacular clubhouse Camden Place which dates to 1717 and was, for a while during the 1870s, the home of Napoleon III, Empress Eugenie and their son the Prince Imperial. The course will challenge golfers of all abilities, consistent with the design influences of the great Harry S Colt. It possesses a charm quite distinctively its own, offering visitors to the Club an all-round experience to remember.The course, which is widely regarded as one of Colt’s ‘hidden gems’, is a challenging test of accuracy rather than length and uniquely there are eight par-3s to tackle, each one of them a potential scorecard wrecker. With tree-lined fairways as well as hills and dales to negotiate during your round, you also have to tackle the excellent and undulating greens, all meaning that you take the course lightly at your peril. A society outing to Chislehurst guarantees you a magnificent time on and off the course and not just in the summer, when a west-facing terrace is ideal for relaxing over a drink and a meal while recounting tales of golfing glory from the day, watching colleagues putt out on the 18th green. Corporate groups and societies are welcome and all packages, starting from £34 per person, can be tailored to suit requirements. Ten minutes from J3 of the M25, off the A20 on the A222 to Bromley. Short game practice area and practice bunker, putting green, trolley hire, gift packs and personalised prizes by request, three bars in addition to three function rooms, snooker room.